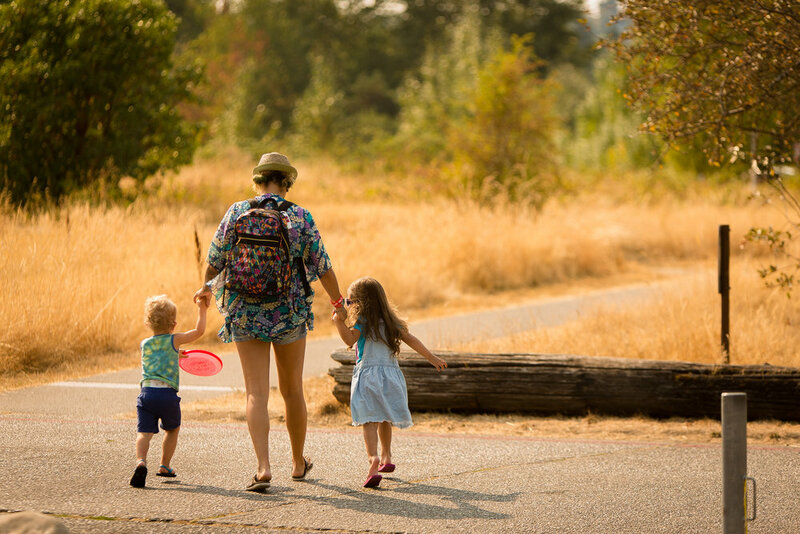 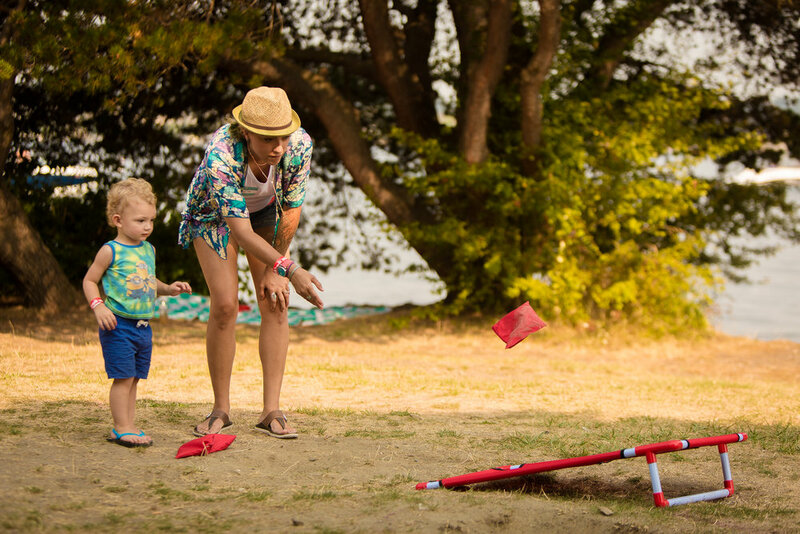 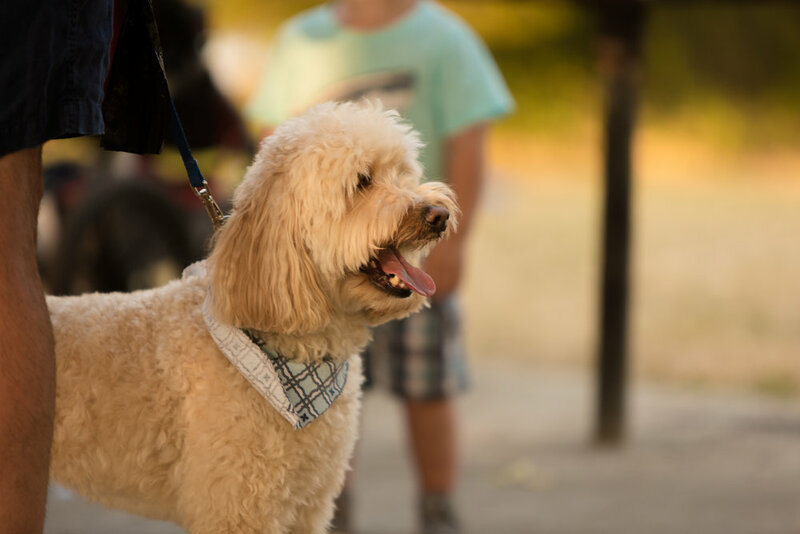 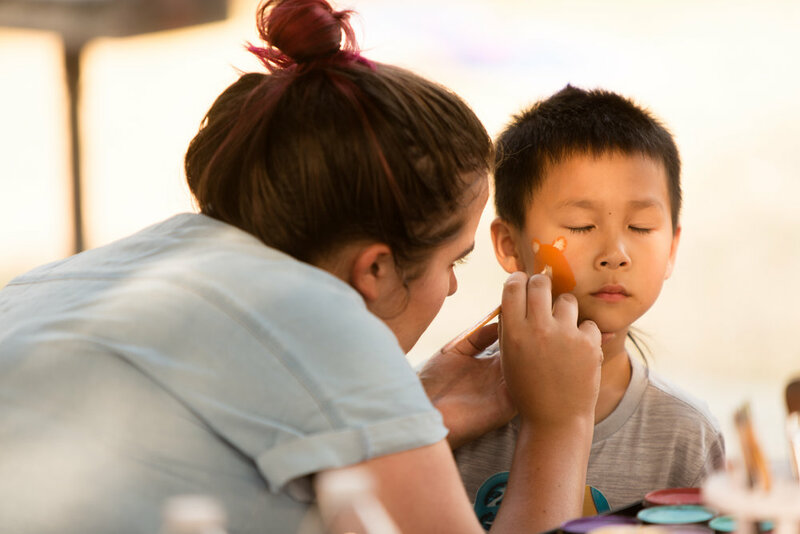 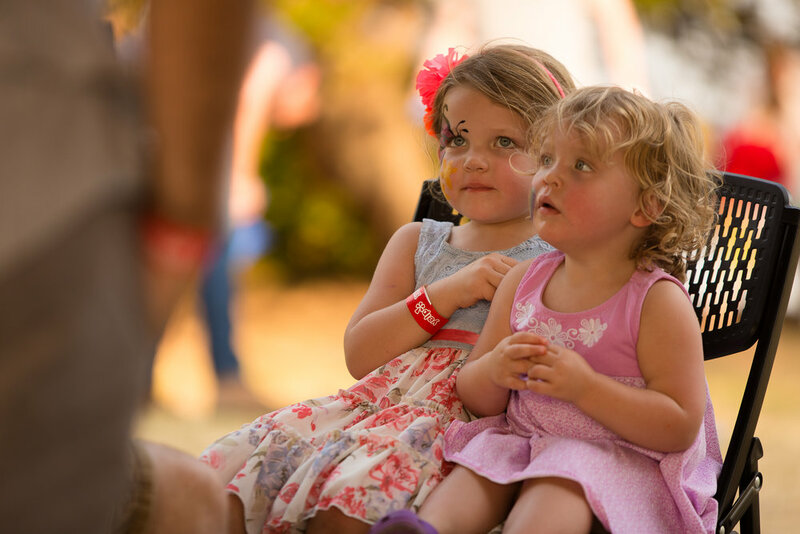 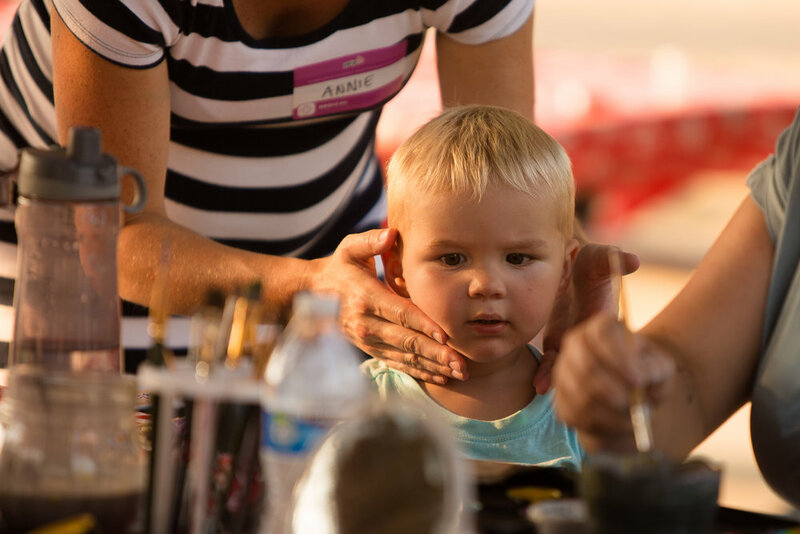 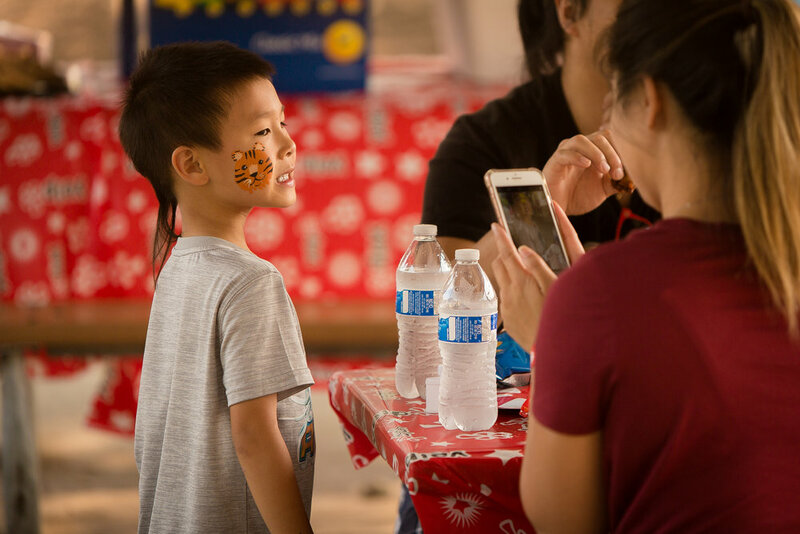 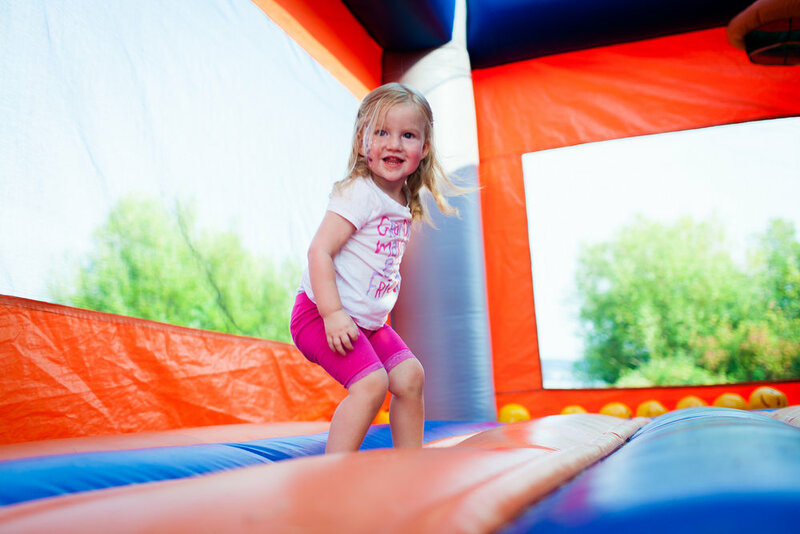 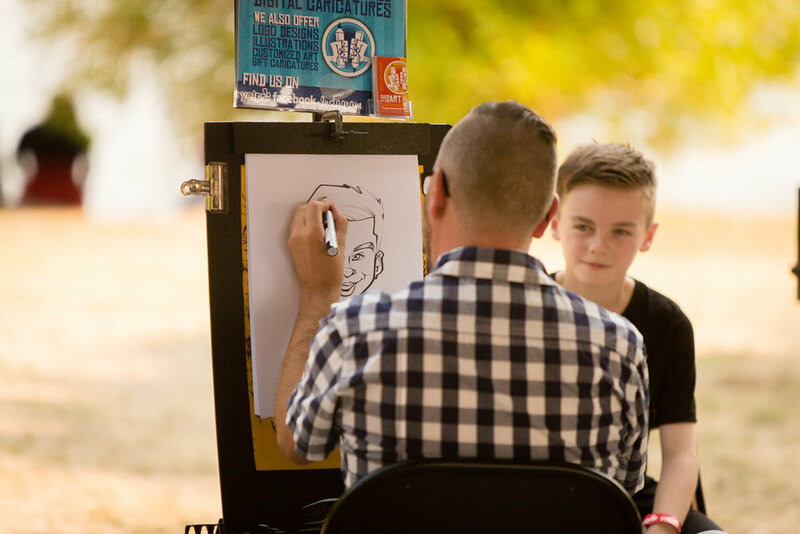 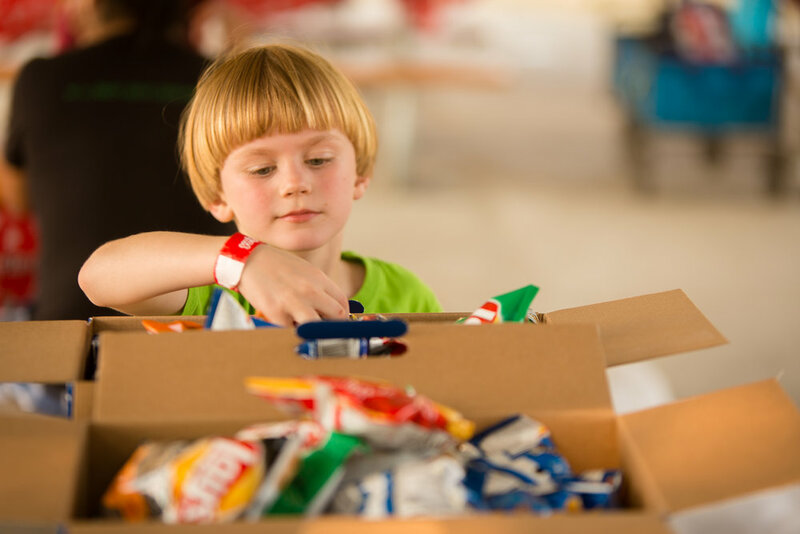 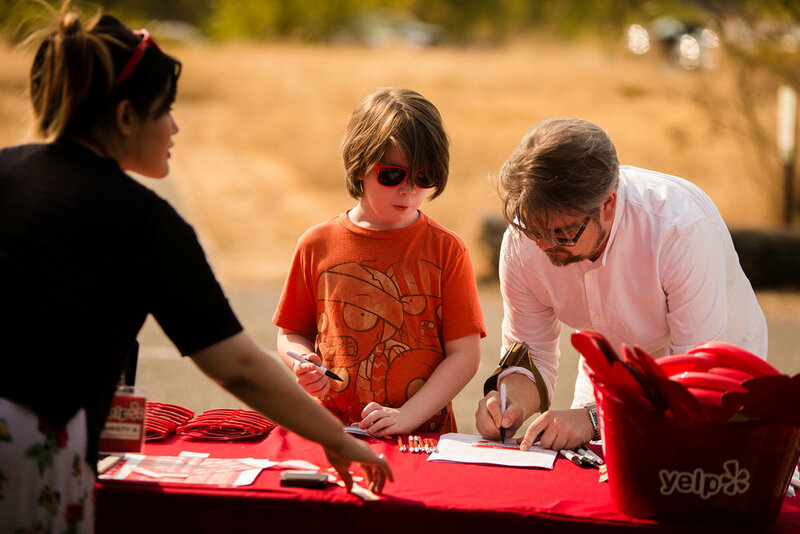 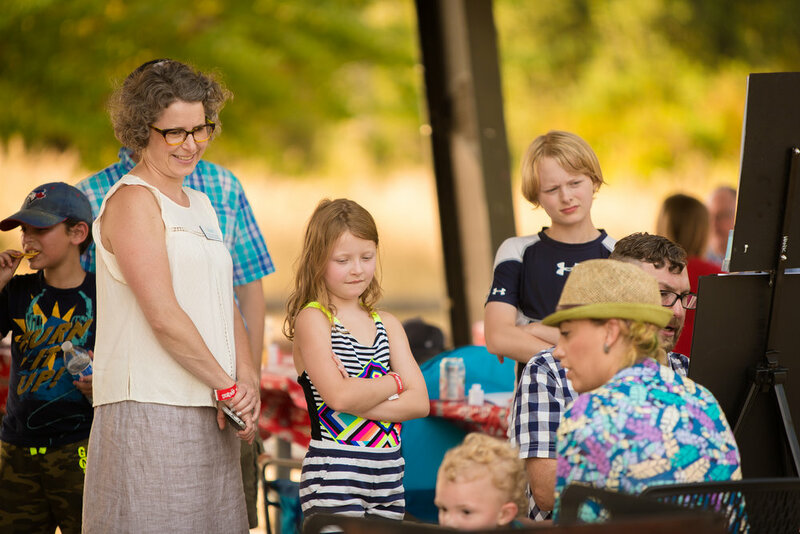 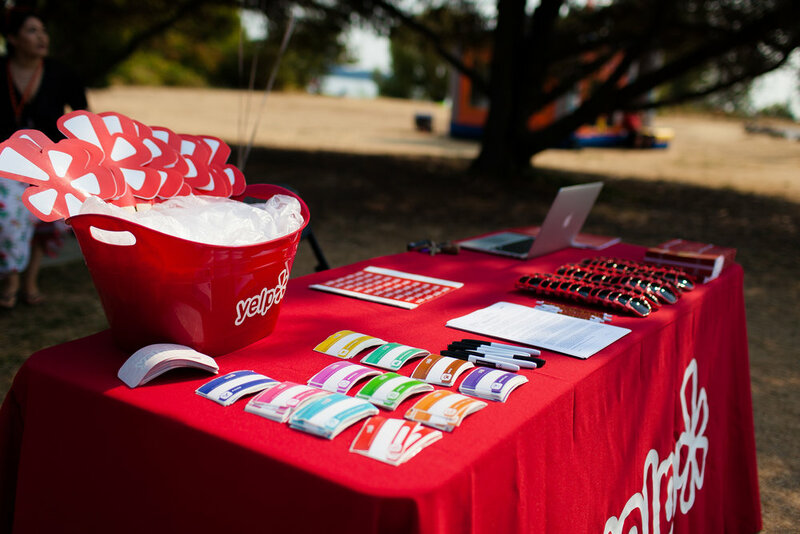 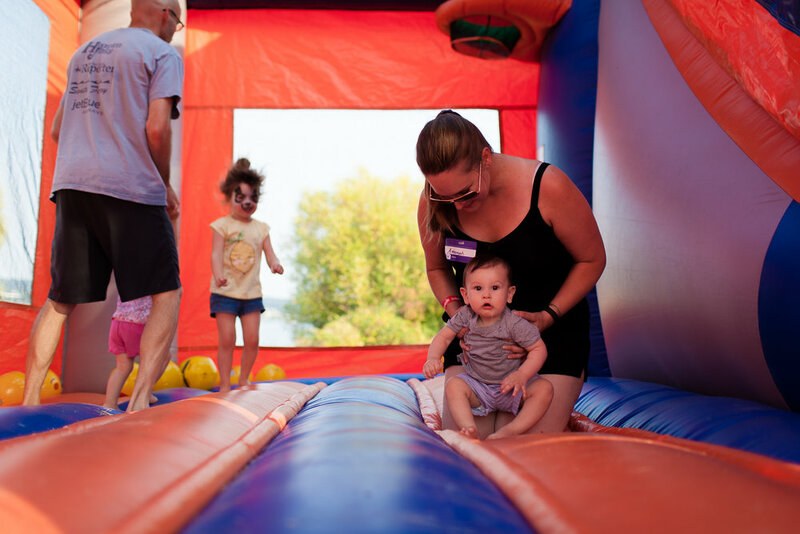 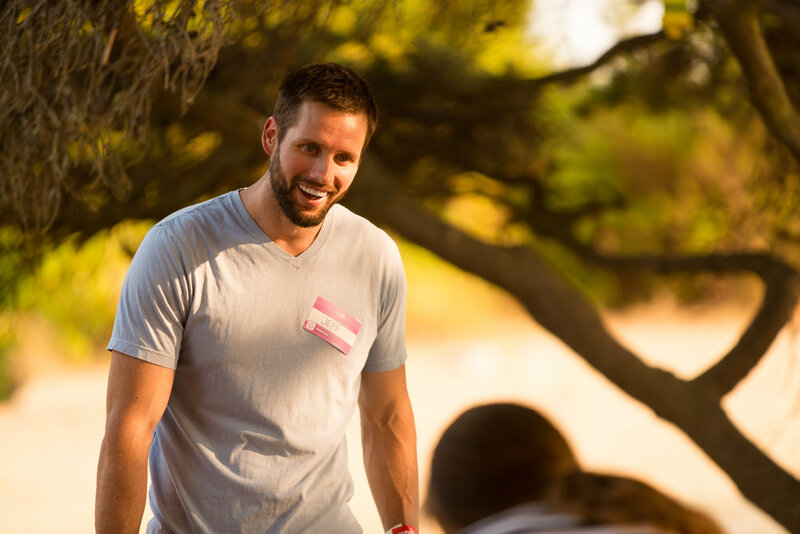 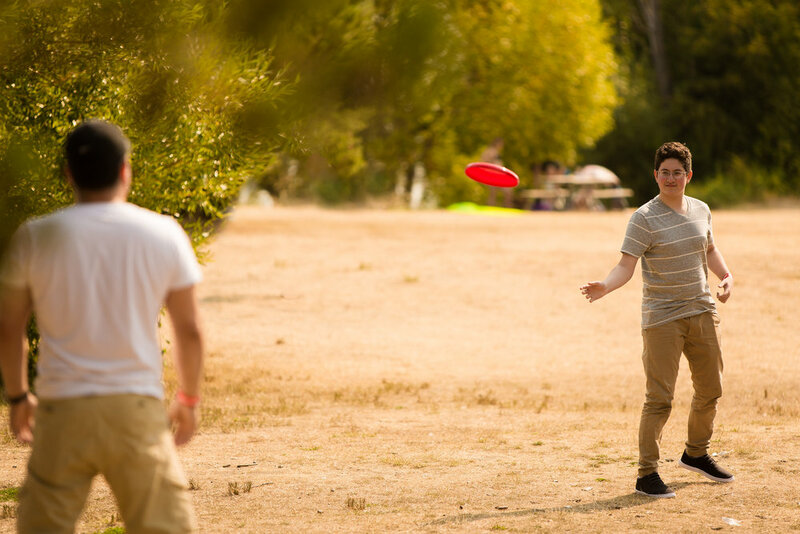 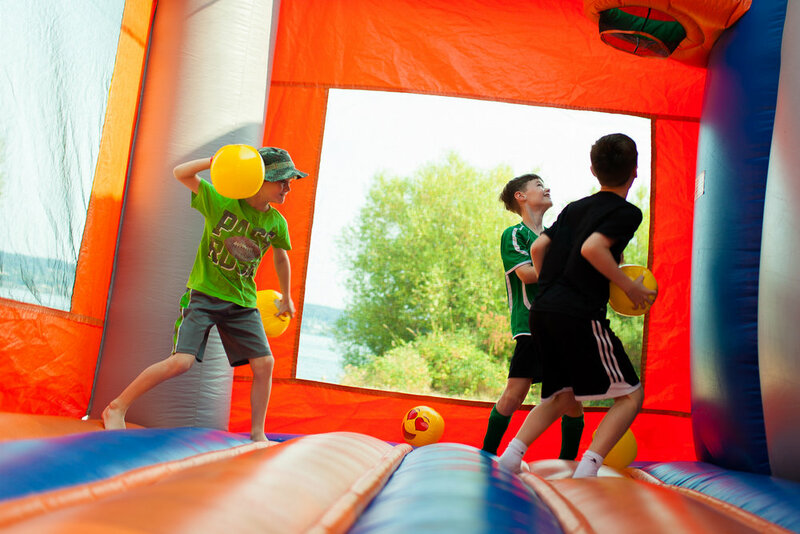 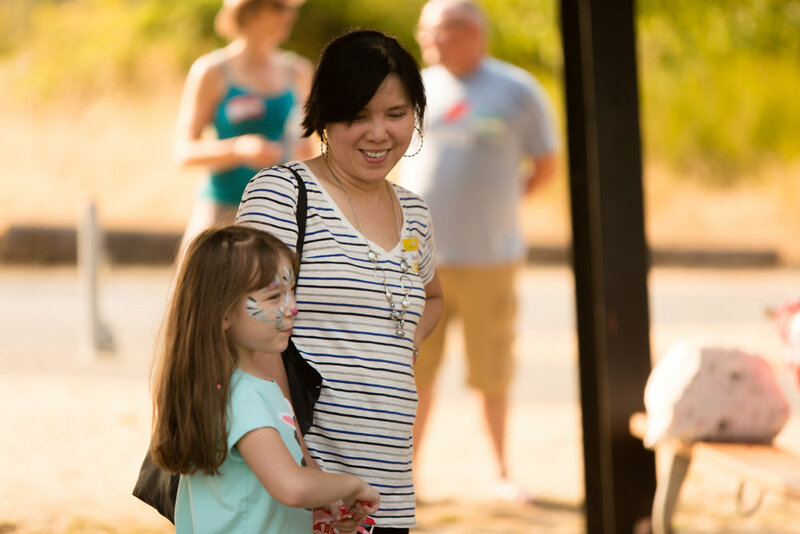 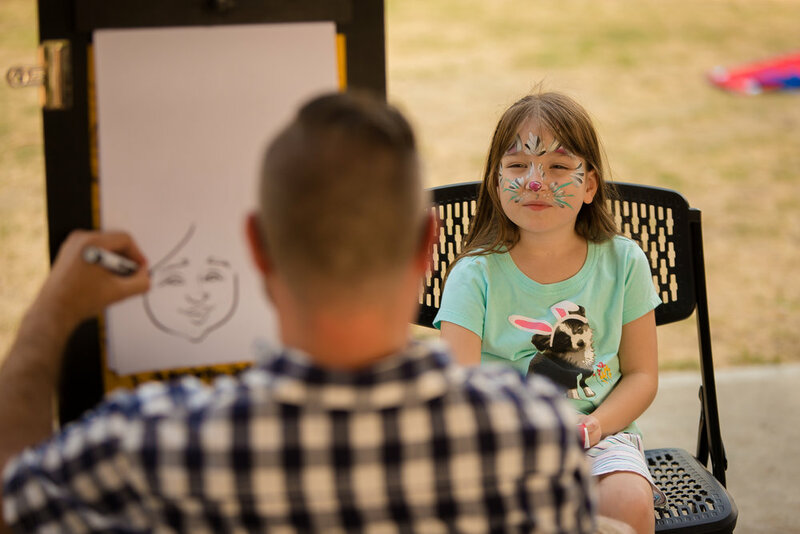 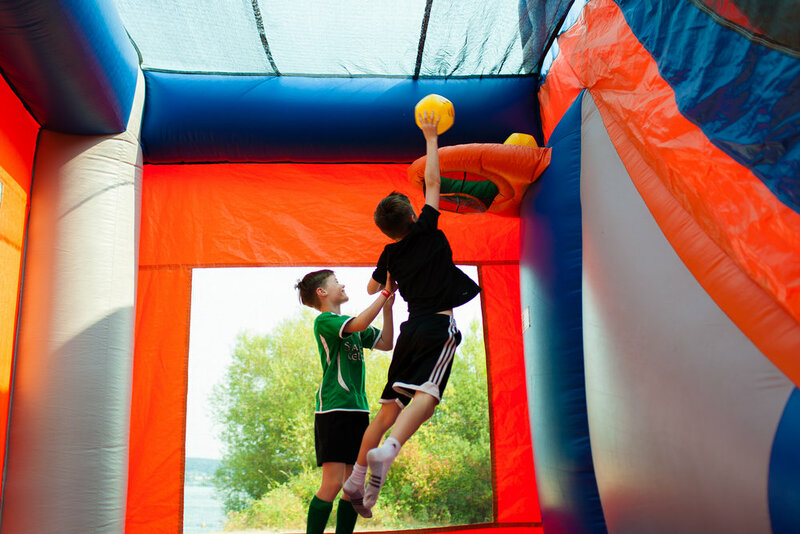 Dozens of families joined us at Magnuson Park for our first Business Community Family Picnic, making new connections with entertainment for the whole family. 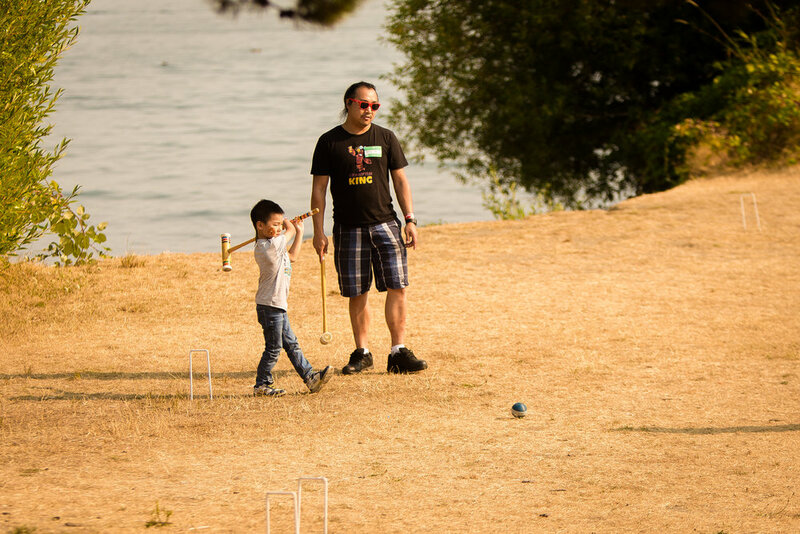 Seattle's heat wave hit 95 degrees but we kept things cool with Lake Washington at our feet! 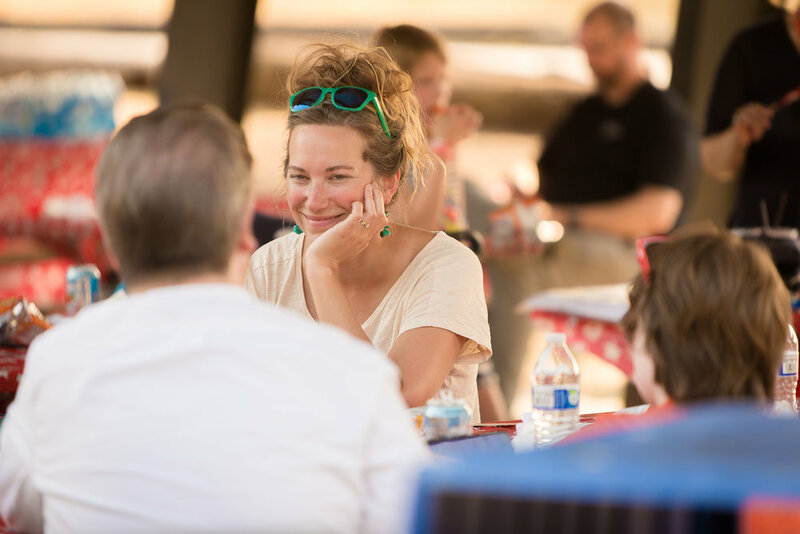 Food truck favorite Napkin Friends shared their "magic between two latkes", making good on the deliciousness with latke press sliders, green chili macaroni & cheese, and Israeli couscous salad. 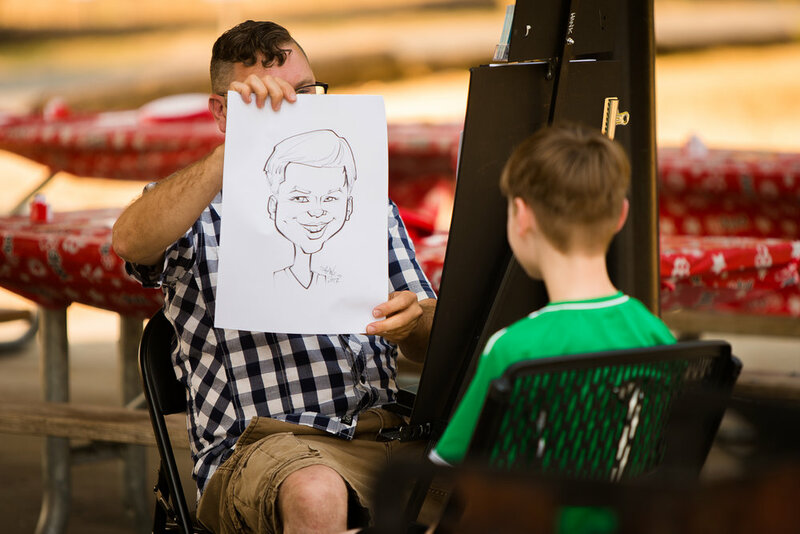 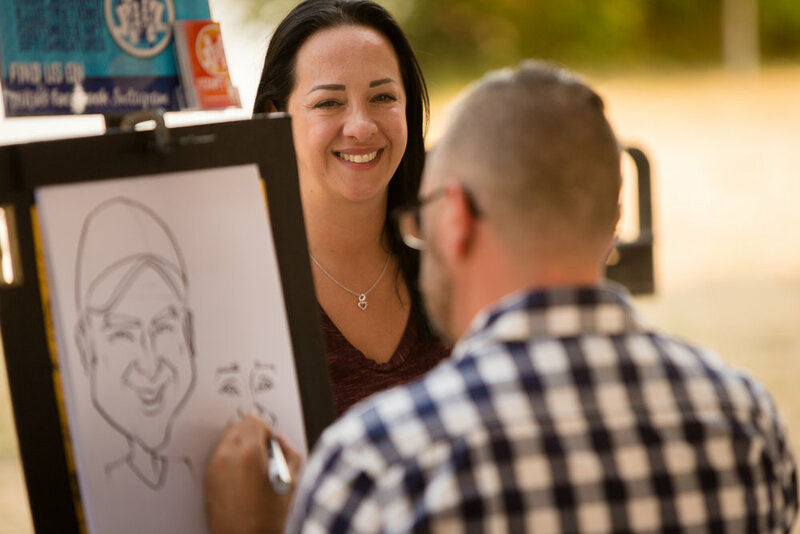 Over the Line Art nailed family caricatures, even handing the artist duties off to the kids apt to try their portrait skills. 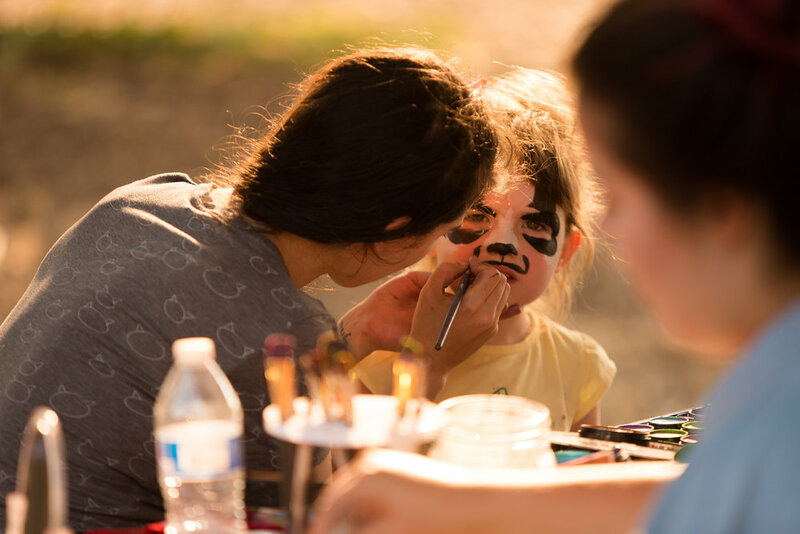 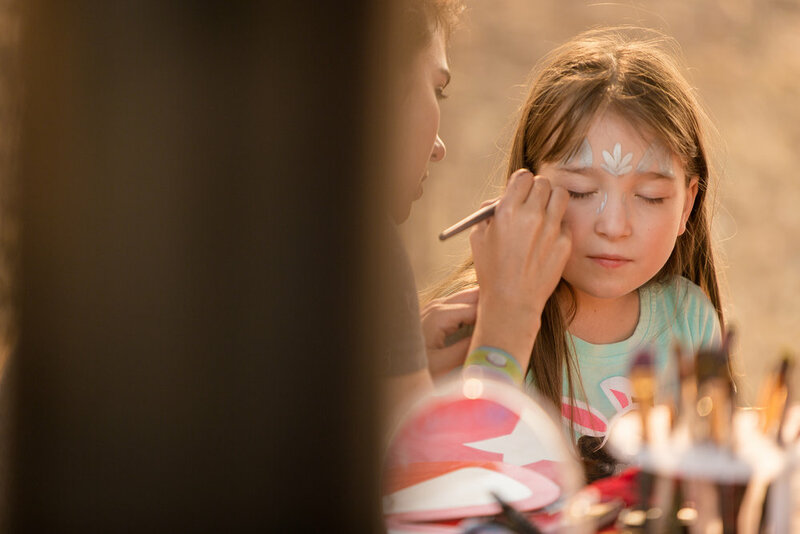 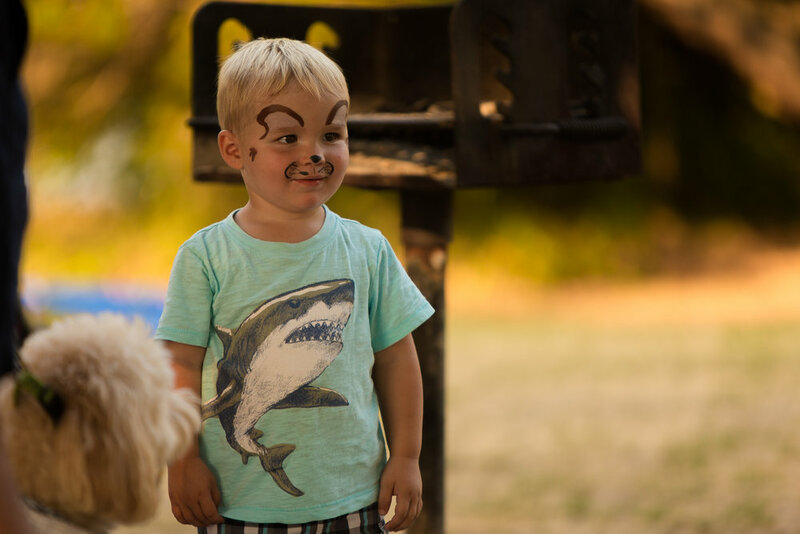 Clowns Unlimited's face painters and bouncy house sports arena kept the kids engaged in the shade, while biz owners took on some friendly lawn game competition.